Leboncoin decided to start the summer in style and to take up residence on the heights of the district of Montmartre in Paris. Designed by the Wild Buzz Agency, La Villa Extraordinaire consists of ten rooms spread over three levels. We were invited to visit this particular house. 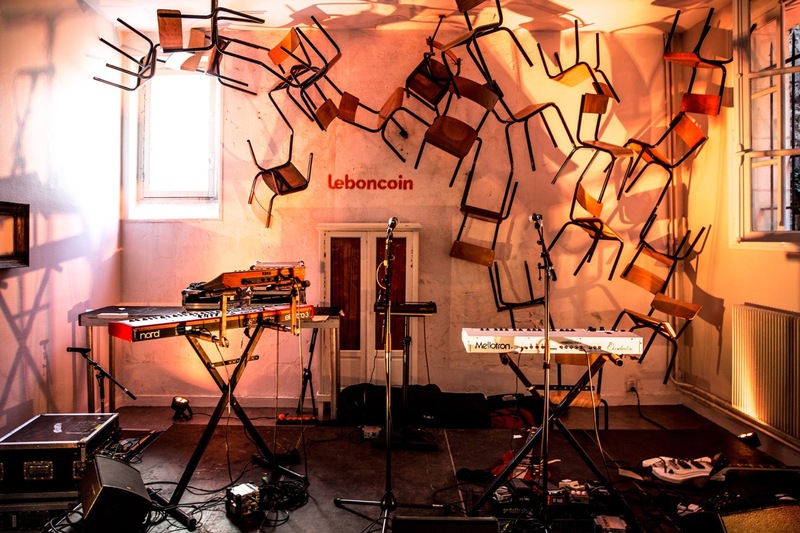 A playful, interactive artistic and musical journey was conceived with the help of objects unearthed on leboncoin and reinterpreted for the occasion. Each piece was designed according to a theme and a universe scrupulously staged. 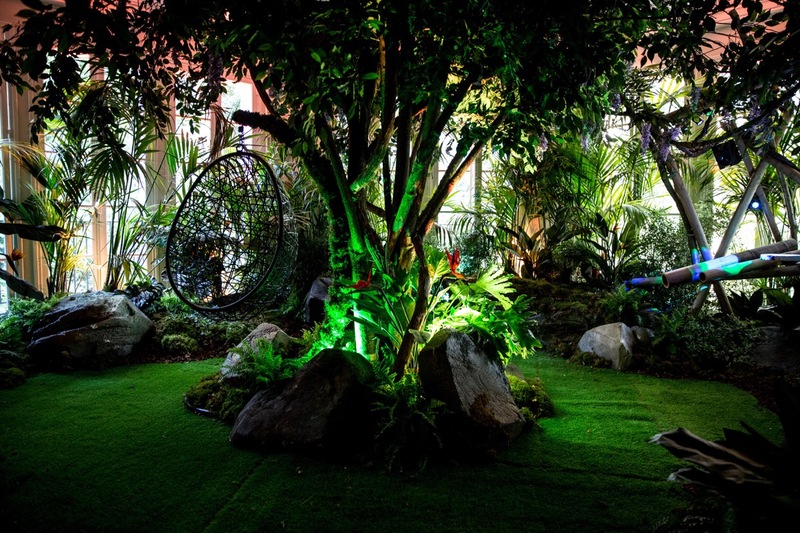 The musical duo Polo & Pan imagined La Canopée, which reveals an immersive jungle and allows visitors to interact with the plant elements that compose it and transform into percussion. 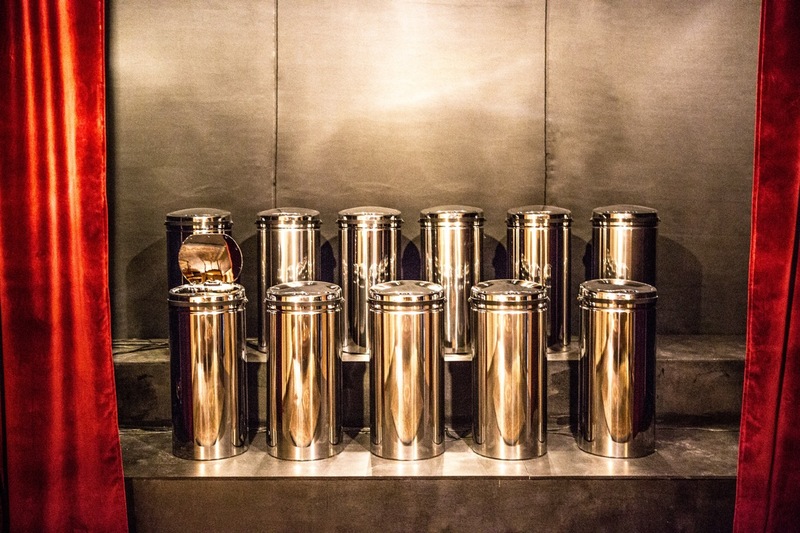 At the heart of the Choral du Baron, designed by the Agar-Agar duo, everyone is invited to listen to a new choir composed for the occasion of the voices of everyday objects found on leboncoin. 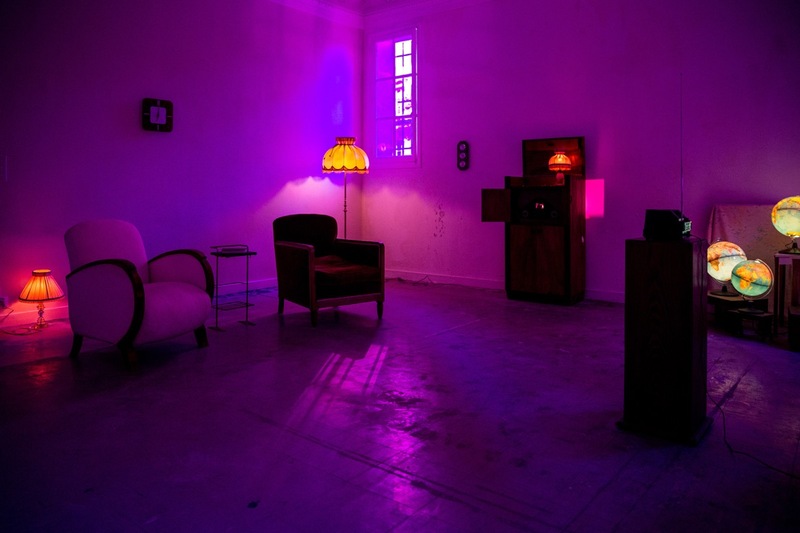 The artist Eric Michel, who plays with the lights and their colors, thought The House of Enlightenment. The latter features neon lights, luminaries and luminous terrestrial globes, which plunge us into a fascinating universe. 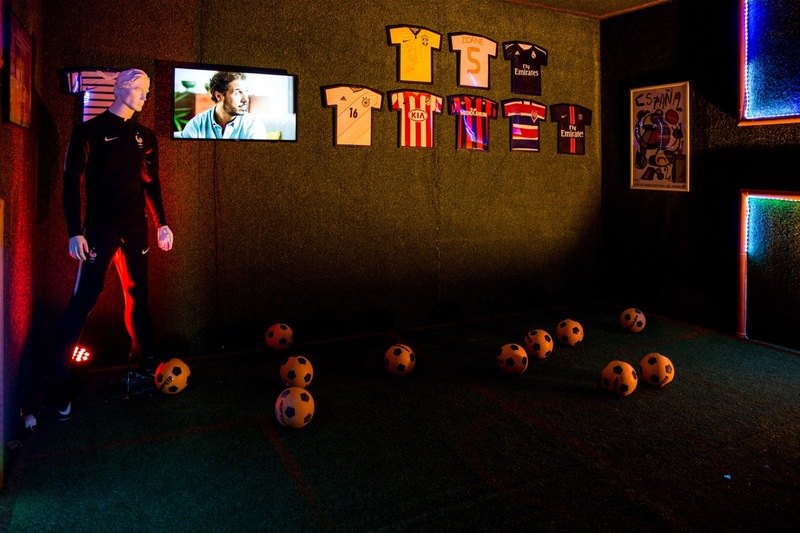 To celebrate the World Cup, La Petite Lucarne immerses us in a 360 ° world dedicated to football. Give yourself a little balloon half-time, surrounded by a fashioned decor using jerseys, photos and crests from another time. After a football game, a dip is required in the pool of the Soleil Bleu. A summer space designed in orange and blue colors. 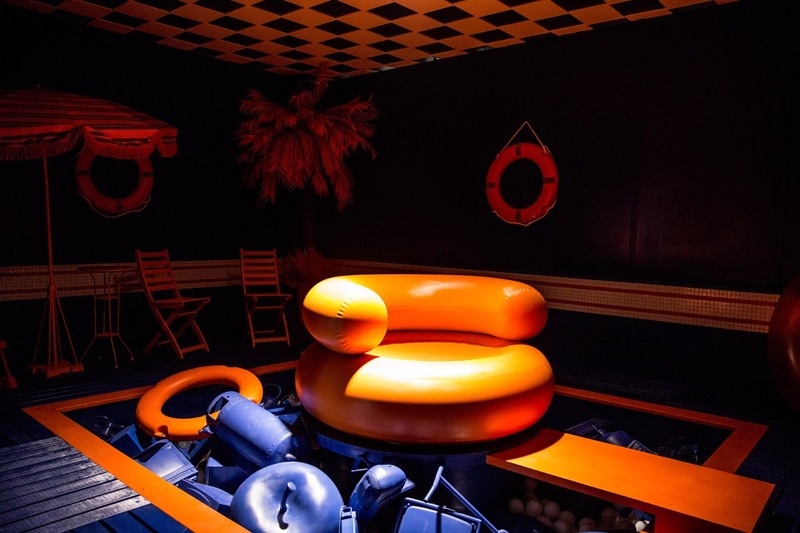 A swimming pool filled with objects on which floats an imposing orange buoy where it is good to relax. To access the Garden, an infinite gateway is offered to visitors. Designed by urban artist KATRE, the piece plays with perspectives and geometry, inspired by industrial places. 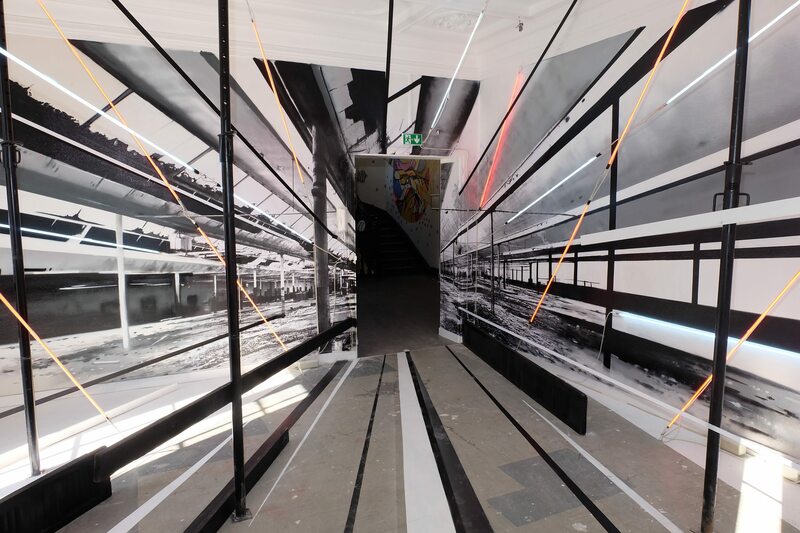 On the walls and ceiling a photograph with an impressive depth of field plunges visitors into a seemingly infinite path. For the rest of the visit, visit the garden composed of two successive terraces, giving us the impression of being away from the bustle of Paris. 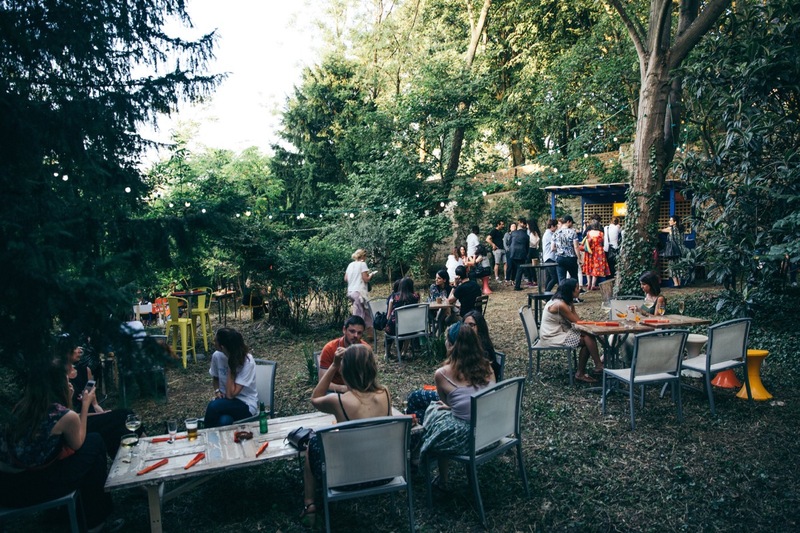 Tables and chairs of schools, sofas and a bar await you to enjoy the mild summer evenings, with a nice view on the roofs of Paris. You just have to come and discover all the hidden parts of this building out of the ordinary. 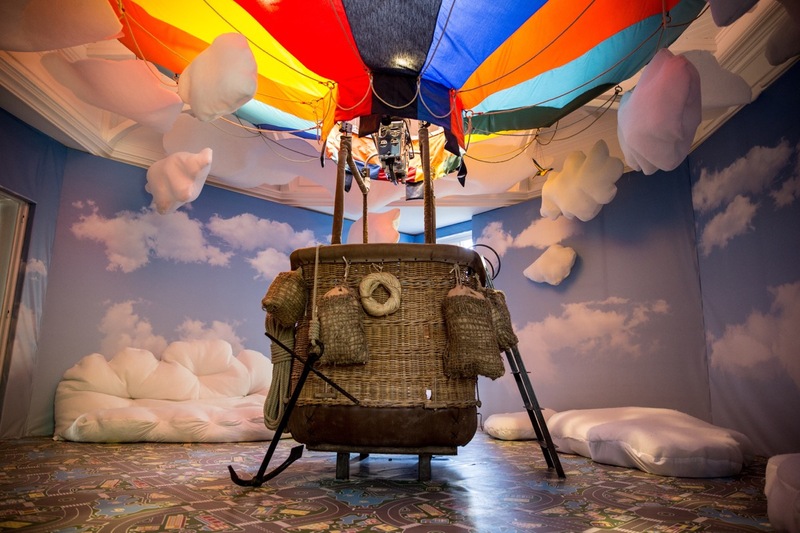 Stroll through these inspiring worlds and immerse yourself in this magnificent space. 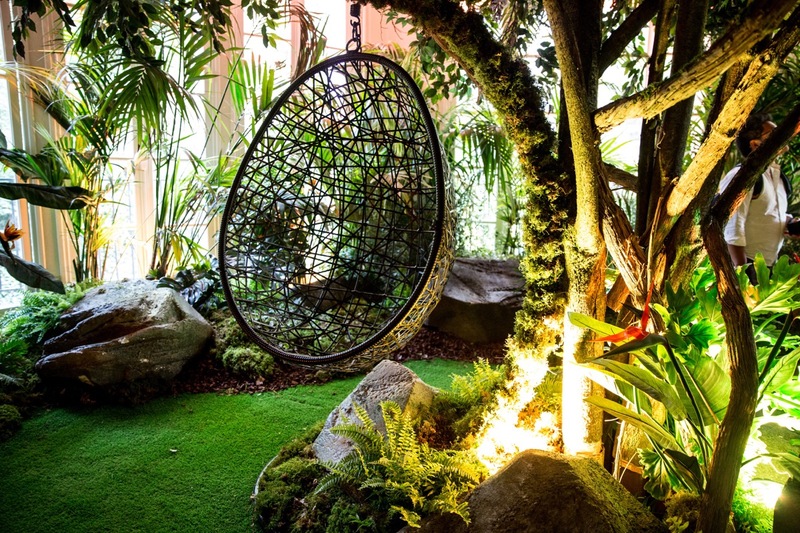 The Villa Extraordinaire opens its doors until July 29, at 15, rue de l’Abreuvoir, in the 18th Arrondissement of Paris.